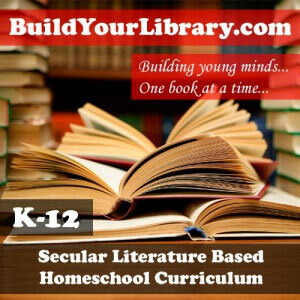 Need any help with using the Build Your Library curriculum? We got you covered! FAQs For general questions on any facet of our secular, literature based homeschool curriculum, we may have already answered them on our frequently asked questions (FAQ) page. For general questions about our Family Reading Crates, please refer to our Crate FAQ … Continue reading "Build Your Library Support"
The following post will be a blog archive copy of the Build Your Library’s February 2019 Monthly Newsletter. If you missed the email, you can subscribe to our mailing list here. [Scheduled to be sent 02/18/18 6:00 AM EST] Hey everybody, it’s Emily from Build Your Library! If you are just going to skim the beginning, … Continue reading "February 2019 Monthly Newsletter"
In honor of Black History Month, I thought it would be fun to again recommend some favorite books that deal with civil rights and famous African Americans. Each Wednesday throughout the month of February I shared a selected book on our Build Your Library Facebook page. Here is the recap: 2/6/2019: My first Black History … Continue reading "Black History Month Book Recommendations 2019"
For the fifth year in a row, Build Your Library has been nominated for the Practical Homeschooling Magazine Reader’s Choice awards! Although we cover K-12, we have been nominated in the “Elementary Curriculum” category. 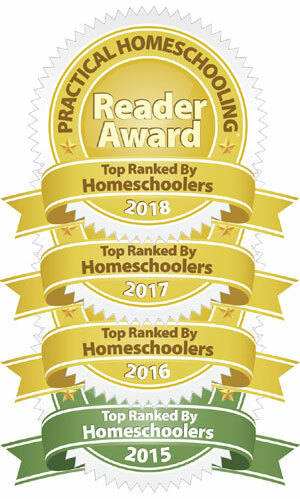 While I am not particularly one for receiving accolades, I really do appreciate being able to describe Build Your Library as … Continue reading "2019 Practical Homeschooling Magazine Reader’s Choice award"
If you are a customer of Build Your Library, you will no doubt have noticed several graphic novels or comic books scheduled into our secular, literature-based homeschool curriculum. You may have also noticed many additional recommendations on our companion YouTube channel or other BYL blog articles. I had a bunch of working titles for this post. I … Continue reading "Why I Love Teaching with Graphic Novels and Comics"
The following post will be a blog archive copy of the Build Your Library’s January 2019 Monthly Newsletter. If you missed the email, you can subscribe to our mailing list here. [Scheduled to be sent 01/14/18 6:00 AM EST] Hey everybody, it’s Emily from Build Your Library! If you are just going to skim the beginning, … Continue reading "January 2019 Monthly Newsletter"
Back in October 2018 I recorded a podcast with Homeschool Snapshots and it was released in mid-December. It was a lot of fun and I hope you will check it out! HSP 074 Emily Cook: A Structured Approach to Interest-Led Learning The Homeschool Snapshots podcast is all about getting a glimpse into the lives of … Continue reading "A Structured Approach to Interest-Led Learning Podcast"
Its that time of year again when we can start to announce our 2019 travel plans so you can try to attend a secular homeschool convention and catch Build Your Library in person. So far, we only have one conference appearance scheduled. We will update this page if any new dates or events come up. [MARCH 2019 – Williamsburg, VA] … Continue reading "Build Your Library on Tour 2019"